A thriving youth culture and an unbeatable underground music scene have put Kiev on the map as Europe’s coolest city break destinations. If you’ve come to Kiev to experience some of its much-lauded nightlife you’ll probably be familiar with Nizhneyurkovskaya Street, the home of Otel and Mezzonine bars and the legendary Closer club. However the best way to experience Kiev by day is through its bustling markets, whether that’s scouring the rails of the next big designers or tasting local delicacies in stunning modernist interiors — here are the spots not to miss. For more tips on what on things to do in Ukraine’s capital, download the new Kiev addition to our series of New East Travel Guide apps. Whether you’re interested in architecture, looking for a quick bite or just passing by, sooner or later all the roads lead to Besarabsky Market (known also as Besarabka), a century-old market with great street food. The grand building which dates back to 1910-1912 is a real crowd-pleaser. Here you’ll find photogenic stalls with fruits, nuts and obligatory eastern European pickles, and a variety of inexpensive street food, including the Vegano Hooligano veggie corner and a few decent coffee points. If the impressive cupola at Besarabka made your heart sink, Zhitny market should definitely your next stop. It is located in the historic neighbourhood of Podol, where asphalt gives way to cobbled streets. One of Kiev’s architectural gems, this 1980s glass and concrete building with a curved roof is a modernist alien in the medieval setting of Podol. Inside and around you’ll find an interesting selection of fruits and vegetables, meat and dairy, alongside fake sportswear and wedding dresses on the upper floor. There’s enough Adidas jackets and FILA trainers to go around to see you through every festival this summer. Petrovka is a land of plenty, and home to vinyls, furniture, Soviet-era tea sets, vintage cameras, antique decor and a brilliant collection of furs and old uniforms. The prices are absurdly low and the stock limitless and constantly renewed. The market is packed both with clothes and Kiev’s fashionistas — models, photographers, designers and stylists – are all usual suspects here. 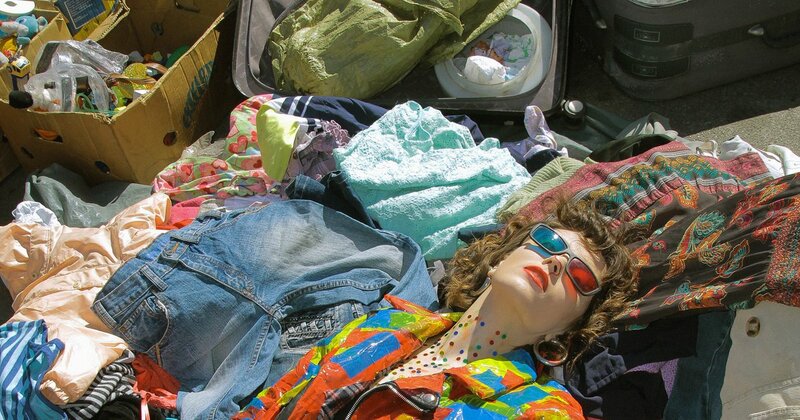 Come by to get the essential 1990s raver outfit for less than 20 euros or simply to roam through the piles of nostalgic bric-a-brac. And while you’re here you might want to get a new suitcase to transport your new wardrobe home. 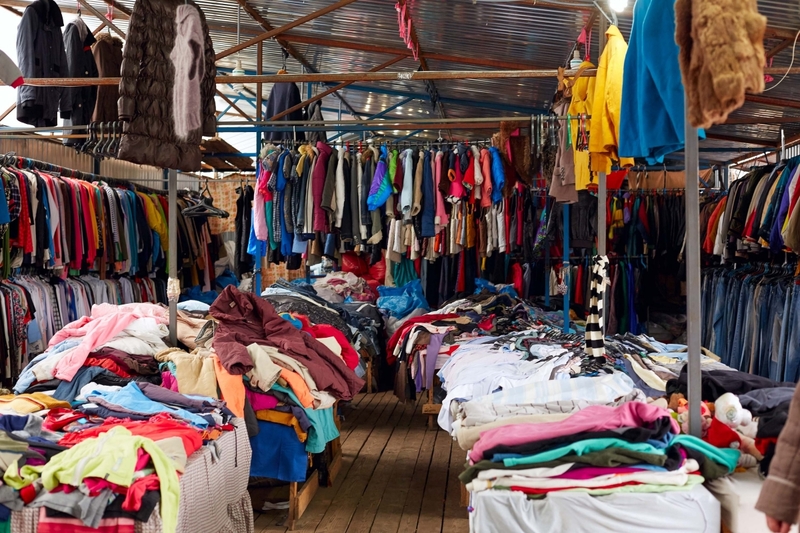 Set next to the Lisova metro station, Lesnaya market has long been the holy grail of Kiev second hand wares — made popular in recent years by the city’s ravers and magazines like Vogue. Spend enough time digging through the mountains of Soviet apparel, tables of vintage leather shoes and signature Eastern bloc houseware and you might find a rare item by Chanel or Armani for just a few hryvnias. If that’s not enough, you can enjoy the charm of Ukraine’s suburbs on your way home. 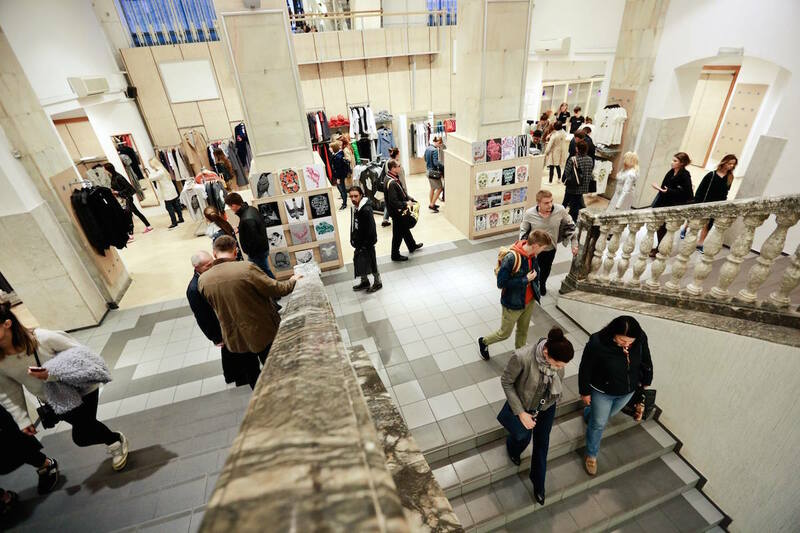 Vsi Svoyi (which means “All Our Own”) may have its flagship location on Desyatina Street, but the store, devoted exclusively to Ukrainian designers, began its life as a pop-up market. If you’re on the hunt for Anton Belinsky or Litkovskaya you’ve come to the right place. Vis Svoyi are not only responsible for bringing Ukrainian established brands, budding talents, folk fashion and home accessories to pop-up events across the country, but also for organising their own regular pop-up series revolving around interior and product design. Situated in a semi-abandoned industrial housing block on Degtyarevksa street is Kiev’s biggest vinyl shop and hangout for vinyl-heads. The owner of the shop, Sasha, is a massive collector of Kraftwerk vinyls. Vinylotheka is more of a music temple than a shop — a visitor can spend half a day browsing its impressive collection which has everything from contemporary rap to Russian rock.